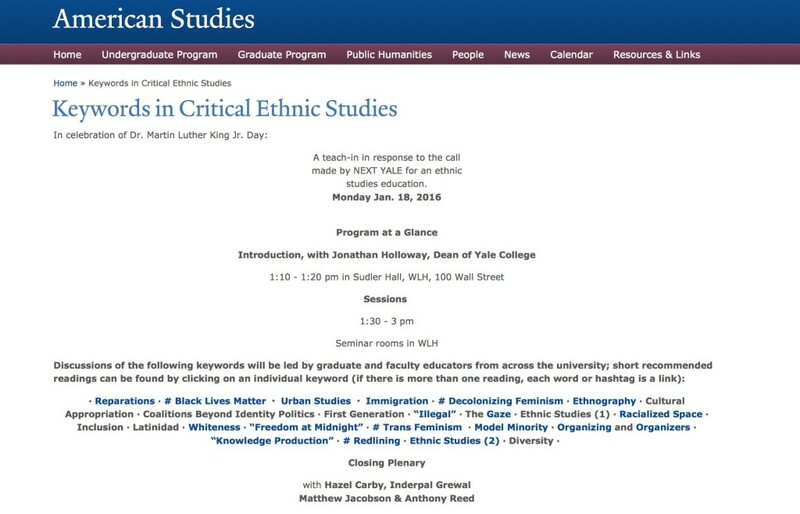 I’ll be the faculty co-facilitator for the the #Trans Feminism seminar at the Keywords in Critical Studies @ Yale on Martin Luther King Jr. Day – January 18, 2016. I’m very much looking forward to working with the folks working to transform and expand knowledge production @ Yale. Here is the KeywordsProgram.